Oct 23, 2018, 3:22 PM: HUGE news… Current water: Just Right !! … you get the idea (as well as how hydrated Carl stays). It’s terribly inefficient for Carl to have to type this out every time. Text messages are a push-notification thing, instead of a passive data collection method. Ideally, I could go check on Carl’s water temperature at my convenience, instead of being notified. 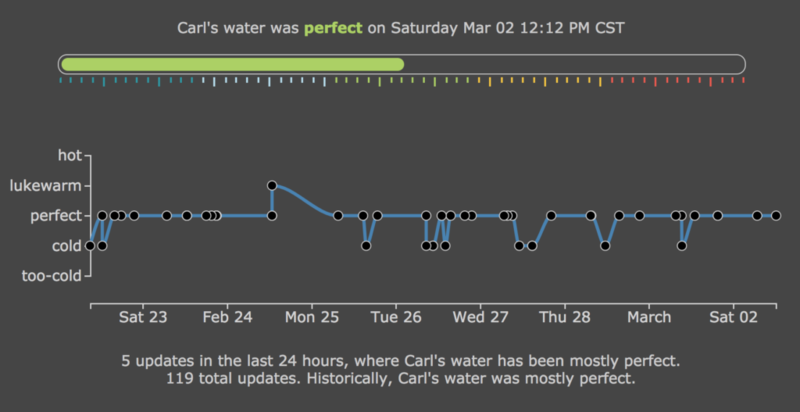 There’s no real-time charting to track trends in Carl’s water temperature. So I got to work. Presenting, http://cwaas.copeland.bz/, Carl’s Water as a Service! It’s a python flask app with a sqlite3 database on the back end and the graph is powered by D3.js. It’s mobile optimized, so he can bring it up on his phone, and it requires no authentication or reloading. Every time he hits a button, it’s instantly recorded and reflected on the home page. You might notice the slider on the bottom. Carl had requested a slider (presumably to fine tune the temperature of his water), so I gave him a slider. He’s also not sure what the “Text Brian” button does, so that’s a plus. If you’re super curious, you can see the code on my github repo, github.com/briancopelandbz/cwaas. 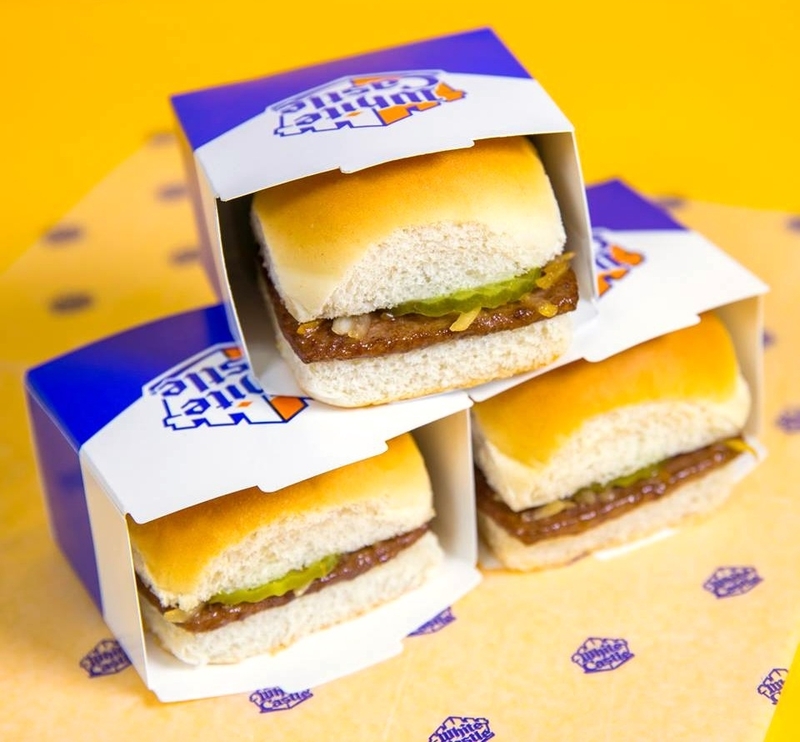 tl;dr: The Burger Hunter ‘dissed’ White Castle, but still wrote solid burger reviews. I studied him and used machine learning to replicate his reviews after he quit writing. I subscribe to Secrets of the City. It’s twice-weekly email that informs you of stuff coming up in the Twin Cities. Super good. As you can imagine the meat gets dominated by onion and renders that smell we all know from 50 feet away. I order mine without the O’s because they’ve been pretty much marinating in um. Topped with cheese and tbh it’s the only contrast you’ll get in the flavor on this ride. It’s so BOM bun onion meat that the cheese actually stands out. First off it’s a hot mess. But glorious. It’s like I hope nobody’s looking kinda good. Just dig in. Needless to say, this guy is somewhere between, “I love hamburgers” and “BOW BEFORE YOUR HAMBURGER GOD“. 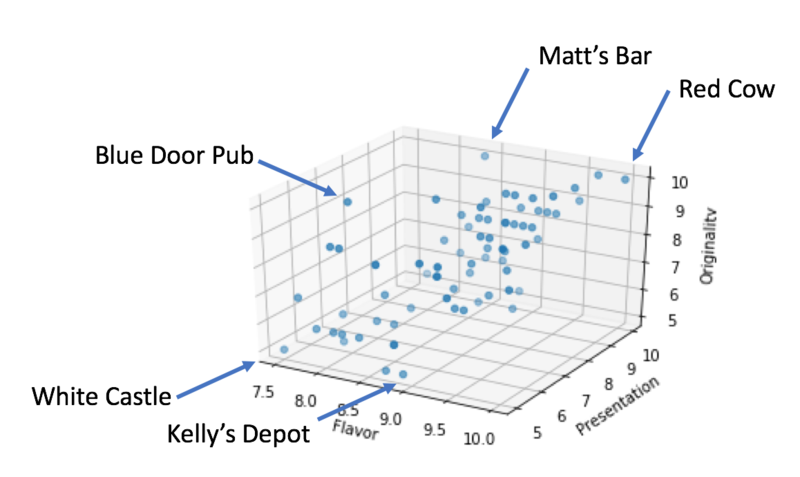 More important than pivoting on 90+ reviews (such as discovering that Kelly’s Depot Bar is the best flavor, in spite of its originality or presentation), we need technology to fill the empty hole left by the Burger Hunter. Enter Andrej Karpathy. This guy is writing about “Recurrent Neural Networks”, a brand of machine learning that’s good with sequences (like the sequence of letters you’re reading now!). Train a RNN with enough text, it can learn how to spell. Seriously – just give the model a seed of a few letters in a sentence, it guesses the next letter. I’m glossing over details, but the takeaway here is that this is not a quote from one of Shakespeare’s plays. This RNN model is writing brand-new-Shakespeare. Let’s do this with the Burger Hunter! It’s gibberish… but not bad! After only an hour of training, it’s starting to write coherent phrases, like “the bun is soft, fresh and “. That looks like something that a human might have written a little (a lot) drunk. It falls apart at the end… but notice, there’s no repeating. It’s just shy of cohesive sentences that tell a story. This is trained off only ~90 reviews. While this was the best result I achieved back in late 2017, technology is constantly getting better. 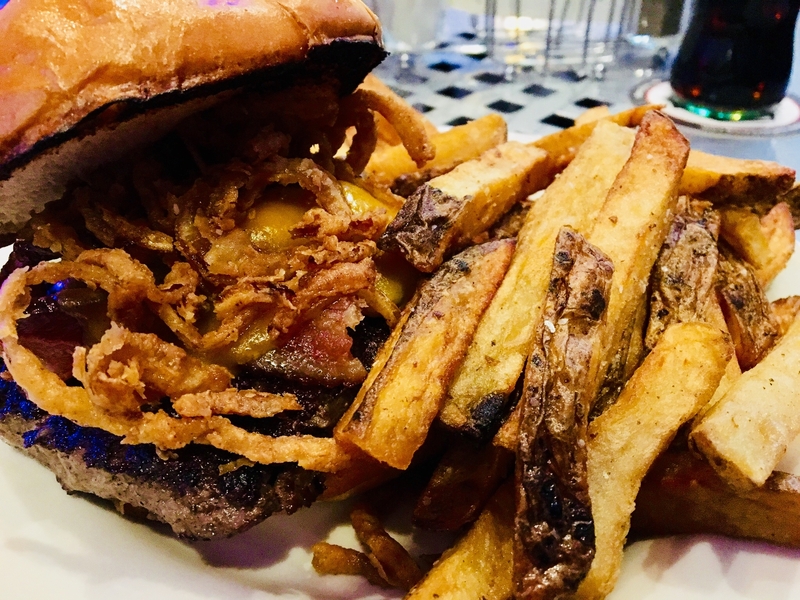 We’ll meet again, Mr. Burger Hunter. There’s a story written in 1941 by Jorge Luis Borges called “The Library of Babel” that describes a library that contains every single possible 410 page book written with a basic alphabet. The ordering of the books is random and most of the books contain gibberish, but this library also contains every book ever written. And every book never written. And alternative versions of every book ever written. Pause a moment and think about that. Let’s go a step further. In that library is a vivid description of your death. And the lottery numbers for next week. Every single useful piece of information is in this library. Everything. This sounds like fiction, right? It exists on the internet: https://libraryofbabel.info/ – You should go browse it. For example, here is the first page of Genesis. Here’s the powerball numbers for 12/24/2016. Both of these books can be found by browsing. They are in the same place in the library for me (writing this) as for you. In Borges’ story, “librarians” roam the library looking for a mythical index that provides order to the library. In theory, you could do this as well – you could start browsing the library looking for predictions of the future. 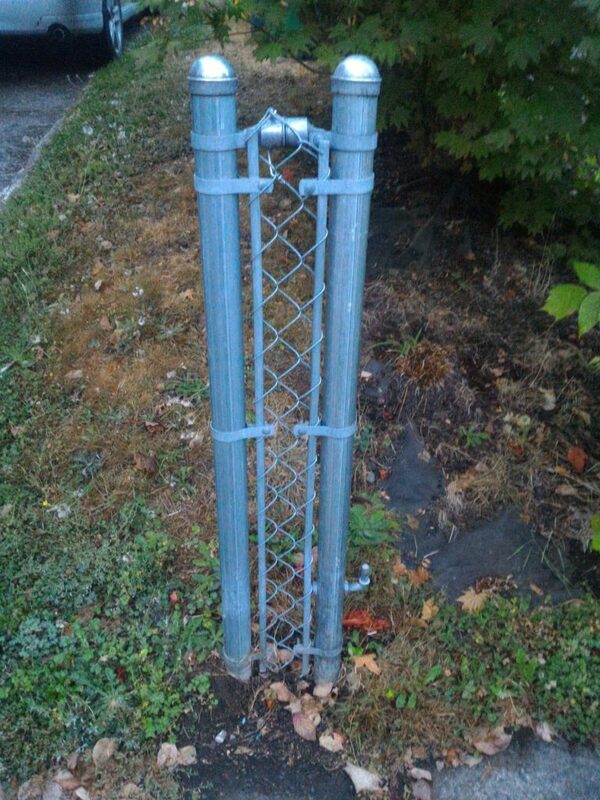 It’s a fact that it’s contained in there. But good luck. To say that 99% of the Library of Babel is gibberish is a gross understatement. That’s what is beautiful about the Library of Babel – it’s a fantastic demonstration that “meaning” is something we provide.